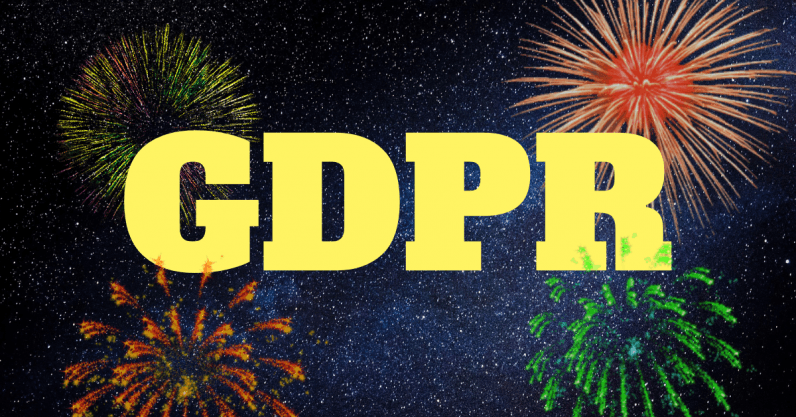 One of the defining moments for tech in 2018 was on May 25, when the EU implemented its General Data Protection Regulation — the ominous GDPR. The ambitious legislation is the toughest privacy and security law in the world and was meant to guarantee users better control over their over their personal data. That’s why we’re taking a look at GDPR’s 2018, here’s what experts had to say. First things first though, what exactly is GDPR? If you’re already an expert on GDPR, you can probably skip this section. But considering that GDPR’s text counts more than 100 pages and the many misunderstandings regarding the legislation — like that you can read your boss’ email about you (spoiler alert, you can’t) — I’d wager that’s not likely. That’s why a short explanation of its main points is in order, based on this 2,000 word summary. When the EU says it wants to give people better control over their personal data, it means it. All EU data subjects (legalese for EU citizens and residents who use computers and stuff) now have the right to have a say in how organizations handle their data, as they’re only ‘lending’ the data — your personal data should belong to you and nobody else. In order to enforce this, GDPR allows ‘data subjects’ to seek compensation for damages. But the biggest enforcement tool is the possible fine for violating GDPR: up to 4 percent of global revenue or €20 million, whichever is higher. This staggering amount ensures that even tech Goliaths will be wary of GDPR, but its reach also plays a big part. The legislation actually applies to any company that handles personal data of EU citizens or residents — which is why GDPR was such a big deal in 2018. Wait, so if the rules aren’t followed, is GDPR worth anything? Well, let’s check in with the experts. Many businesses feared the implementation of GDPR and its strain on their resources — but those fears have mostly abated. Raegan MacDonald is the Head of EU Public Policy at Mozilla, a company know for its stance on privacy and open internet. For her, GDPR has been a bit of a mixed bag, at least in its first months. There have been a number of high profile complaints lodged with data protections agencies (DPAs) in Europe. Right away on May 25, noyb, a group of privacy activists, filed complaints against Google, Facebook, Instagram, and WhatsApp over “forced consent” — as users should be able to use services without having to consent to giving up their data. Google was also reported recently for its alleged illegal tracking of its users in the EU. Companies like Mozilla have started creating tools, like anti-tracking features in browsers, but more need to adopt GDPR’s mentality to truly deliver on people’s control over their data. What it seems to boil down to, like MacDonald points out, is the need for better enforcement — so where are the regulators? GDPR has only been effect for a few months, but regulators have been far from idle. DPAs in each member state have been growing their staff’s numbers and expertise. The Irish Data Protection Commission (DPC) has, for example, grown from less than 30 employees back in 2014 to 130 staff members in 2018, with plans for further expansion of staff and expertise in 2019. Microsoft is one of the many tech giants that have chosen Dublin for their operations in EU.